Hello Dr. Li, how’s 2011 treating you? I saw the sinus doctor you recommended to me. He was awesome the first time. I got a CT and they said my front maxillary sinus was swollen. Looks pretty cool on the scan. I’ve been having headaches for so long now I was so excited that I would finally get relief. I did everything he said. Nasal rinses 2 x’s a day with Nasonex 2 sprays in each nostril twice a day. Haven’t missed a dose. 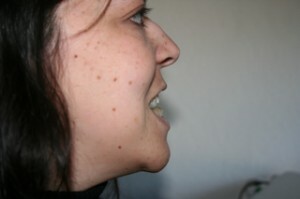 Then I returned for my follow up – with no relief from the face pressure (left side only) and headaches (left side only). Plus a new tooth is hurting now (top – second from the back) and I JUST had my teeth x-rayed less than 2 weeks ago, so not a cavity. He said I had to do the Nasonex for another 6 months(which he also said would maybe help 5%) and he’d see me later. He didn’t think my headaches were sinus related and handed me a paper study explaining that most headaches are not sinus headaches. He also seemed really anxious not to be talking to me anymore. Threw a bunch of medical jargon at me, didn’t explain it, and said have a nice summer. And I asked…”Do you mean to tell me you think that I have different headaches and I just also HAPPEN to have a swollen maxillary sinus that is NOT causing sinus headaches?” And he said yes. Since I have been having stomach problems I went to my GP who ran EVERY TEST in the world. 10 vials of blood and an ultrasound of my pancreas and gall bladder. The nurse practitioner I talked to said my tests looked fine. I haven’t talked to Dr. Hom yet. The ONLY thing different in my body is that my blood pressure is up to 148/98 at CVS it was 152/103 so I got a blood pressure cuff and it’s around 140/102 all the time. On Monday when I saw the nurse practitioner it was 133/92 and that is the lowest it has been…it’s not that low anymore. Dr. Inouye took my blood pressure. It was 165/113 and they guessed it was about 10 off based on his assistant’s usual readings…so 155/103. So my theory (to calm myself down from thinking it’s a frikkin brain tumor) is that I have 3 different kinds of headaches (because I believe I have now had 2 migraines – one on Wednesday that Roxicet didn’t TOUCH until the second one, and one on Sunday – spent the superbowl in a dark room with no sound). Aside from the lovely migraines, I have, I believe, a chronic SINUS headache that is leading to a chronic STRESS headache. Although according to literature, stress headaches are on both sides and mine is only on one. But stress from chronic headaches could raise my BP, right? What else can explain it? Aside from a (yes I know obviously highly unlikely) brain tumor. I say it jokingly but seriously I’m a panic attack away from crawling under my bed and never leaving home again. Why am I bothering you? Well, you’re the doctor I respect and trust. Sorry. You should have been a bigger jerk to me. My first big question is: Since the maxillary sinus is so far down and the opening is so far up, and since I have yet to see anything come out of a nasal rinse or feel any relief from the Nasonex, does anything really get there down into the maxillary sinus through the nose? I mean, they can’t even scope it, they can only look at the opening… I know I don’t have an infection, but the swelling…what causes it? Why isn’t it getting better and only feeling worse? If it weren’t for the fact that I feel more aggravation when I breathe in (than out) and my tooth nerve is killing me when I laugh or sing or talk loud, I would believe him and be sad that I have stress headaches and migraines. But everything points to sinus being the culprit (stress headache secondary to chronic sinus headache in my opinion). What do I know I’m just the stupid patient. Big question #2: Do you think taking the hardware out will help at all? Can you bomb my sinus? I really just want to reach through my nose into my cheek and rip it out. 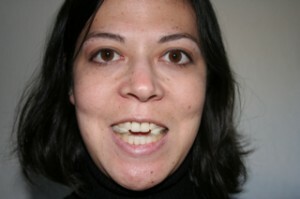 Big question #3: Regardless of hardware removal helping sinus or not, I want to schedule that bad boy asap. Not that I want or am looking forward to you cutting my gums again (I know feeling is mutual), but the screws have got to go. I’m thinking sometime in March. Maybe early April? Thoughts? Can you do it with this high BP since I’m obviously just sick in the head? The good news is I’m down to 135 lbs (from the 160 I ballooned up to), though probably not for the right reasons except we are working out so at least I’m not flabby thin like I was when I met you the first time. Now back to my deep breathing exercises. Hope this didn’t piss you off too much. No one knew who we were, but we were totally committed! 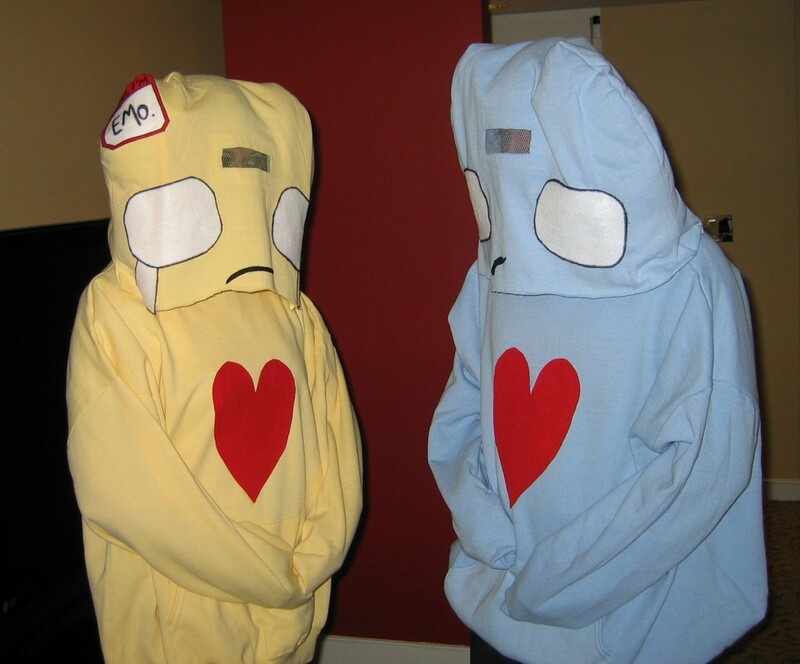 Best Halloween EVER…and honestly, these little emo cuties are the reason I unboxed THE MACHINE, read the manual, and learned how to sew. Bobbins are scary! I used to be a walking blue screen of death. Dr. Li has not seen the x-rays yet but he did see my bite…and he did say something about upper jaw surgery. So…after the two Drs knock heads together, I suppose I’ll be updating this here blog again with more gory details. Maybe this time I’ll video blog the recovery. Threats: yes, I make them.